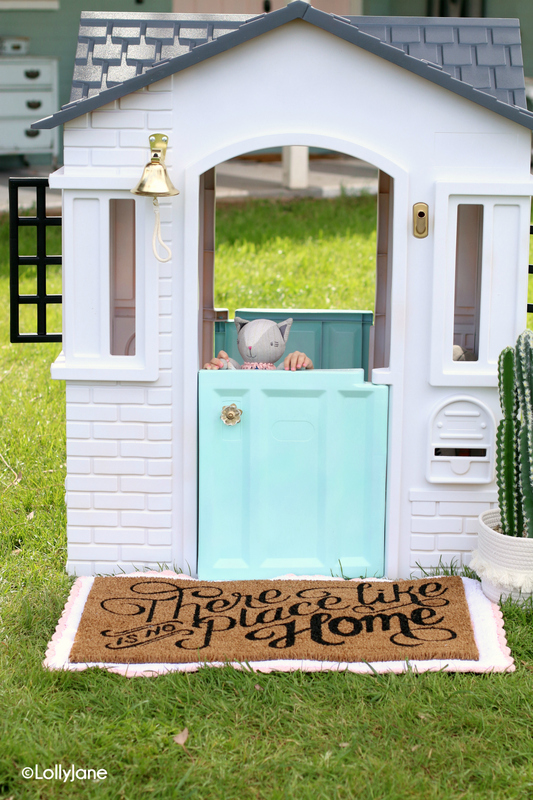 When Homes.com challenged us to compete against two other creative bloggers for a charity event; to create the ultimate Little Tikes playhouse makeover, we were in! Our kids grew up on their products, just like we’re sure yours have. Except my oldest baby just got her drivers license this week so long gone are the days of cute plastic toys to play on. We’re so grateful to have amazing parents who have given us the best lives possible by working hard and teaching us the same. Our charity of choice is a local children’s home, Sunshine Acres. 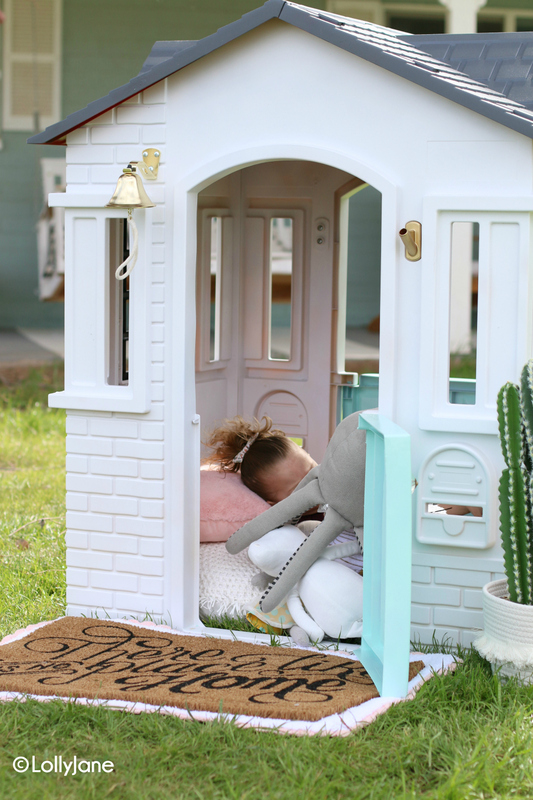 We love that they’ve placed more than 2000 children in amazing homes and want to give back to them. 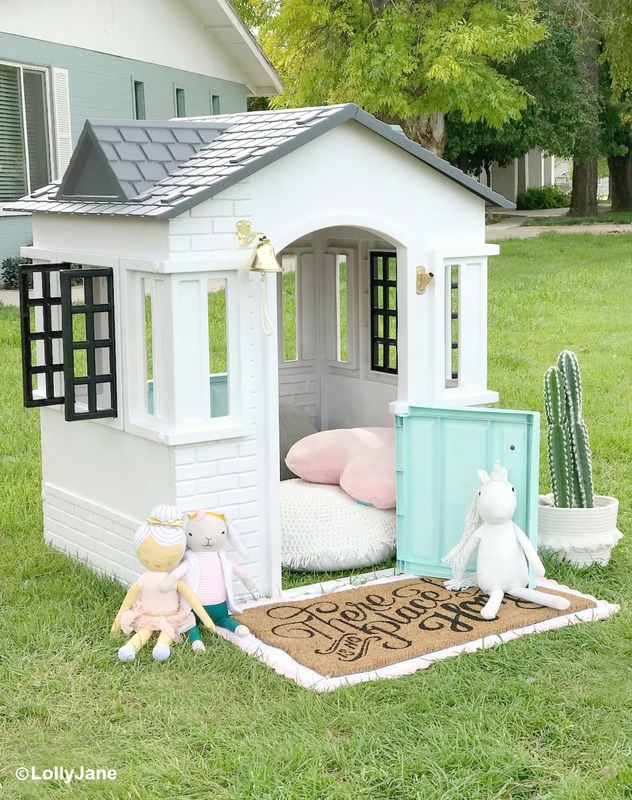 We think our little painted cottage will be a welcome gift, don’t you agree? 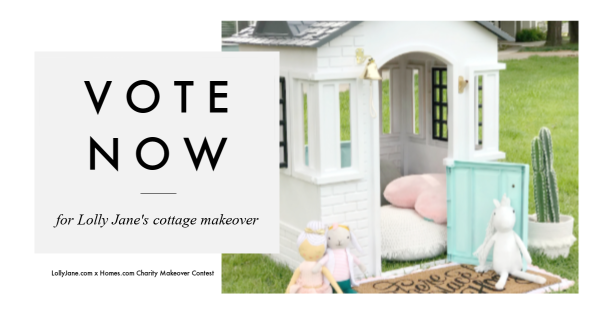 Take a look at the stunning transformations below, then vote for your favorite on Homes.com’s page. 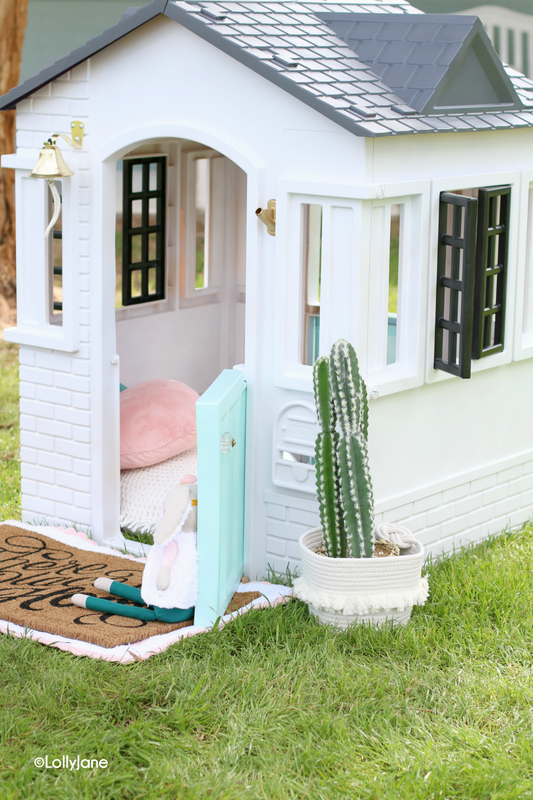 In addition to donating a Cozy Cottage Playhouse to the charity of their choice, the winning blogger will receive an additional $750 to give to that charity. PLUS, one voter will be chosen at random to win a $250 gift card! t’s all for charity but we would LOVE to win so OUR charity, Sunshine Acres, wins. Let’s help the children! 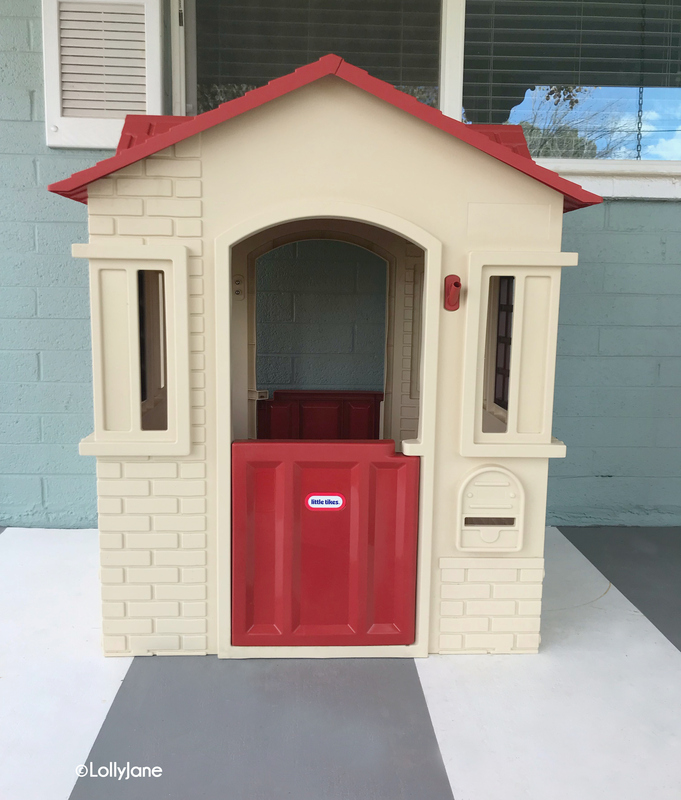 Of course we shared our step by step on how to paint a plastic playhouse! Head on over to Homes.com for the full tutorial, including process pictures! This is so cute and I love that it’s for a noble cause! 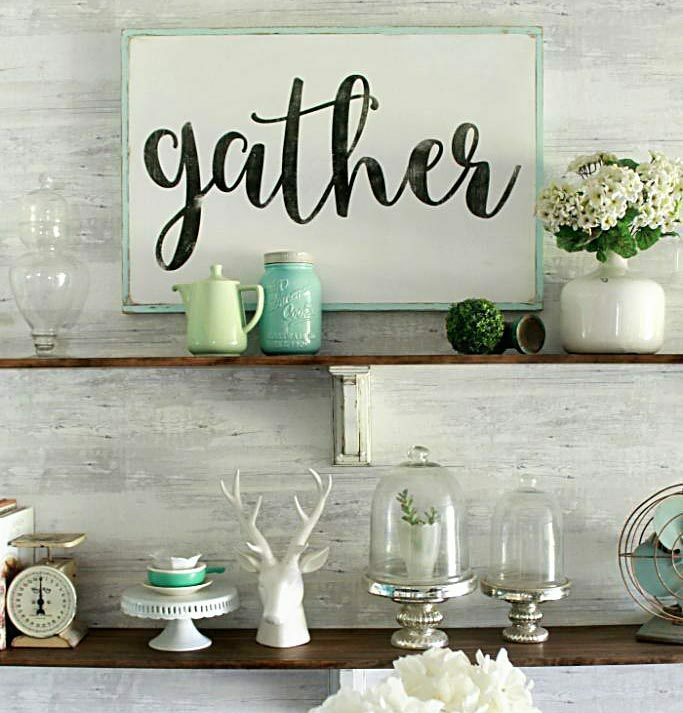 Love the gentle colors and great attention to details. The mat is gorgeous, as well as the note on it. Thank you for sharing this! Thanks so much, Katarina, glad you like it! Did you take the house panels apart before painting or did you spray it while it was standing?